- 1 -10 Button flush GSM flush mount intercom kit with Code Lock including 13Vdc PSU and antenna. - Intercom panel in the 4000 Series design with mirror stainless steel faceia and gun metal grey diecast surround. 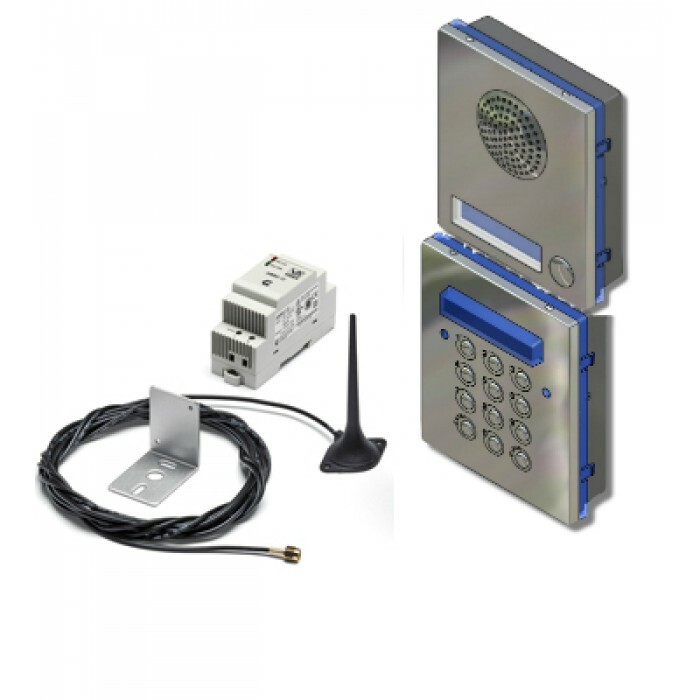 - The codelock is the popular 4800 keypad with 3 relays, 2x exit button inputs and programmable (through the keypad) with up to three 4-8 digit codes. - The Intercom allows the calling of two telephone numbers per button and also includes features such as push to exit input, dry contact relay output, auxilliary input and output. - Programming can be carriedout via text message or dial in.